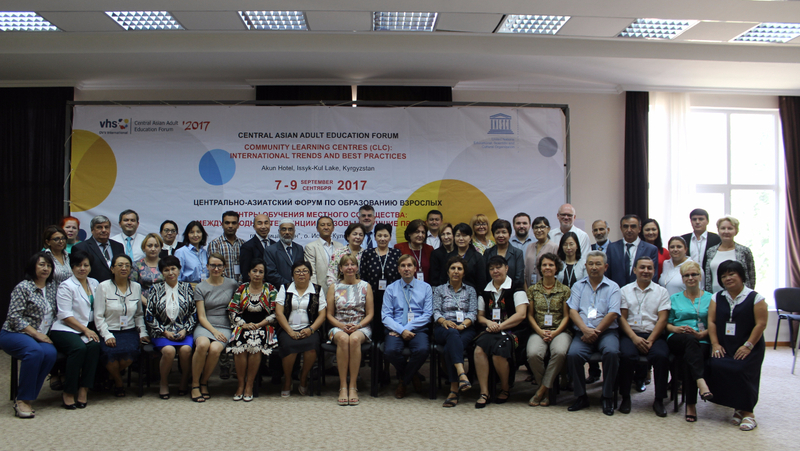 In commemoration of the International Literacy Day, celebrated on 8th September 2017, the Central Asian Adult Education Forum “Community Learning Centres: international Trends and best Practices”, was held at the lake Issyk-Kul in Kyrgyzstan on 7-9 September 2017. UNESCO Almaty Cluster office, in cooperation with UNESCO Bangkok, UNESCO Tashkent, and UNESCO Institute for Lifelong Learning, organised this forum to explore the role of Community Learning Centres as a provider of lifelong learning opportunities and offered a discussion platform for specialists working in the non-formal education sector in Central Asia and other countries. The event hosted over 50 representatives from governmental and non-governmental organisations of Kazakhstan, Kyrgyzstan, Tajikistan and Uzbekistan, as well as experts from DVV International and UNESCO and from the following countries: Afghanistan, Armenia, Bangladesh, Belarus, Jordan, Moldova, Palestinian territories, South Korea, Thailand and Ukraine. During the initial session of this Forum, Central Asian representatives and education specialists reflected on their commitment to achieve the Sustainable development goal 4 on quality education, which depends on the implementation of fundamental reforms in the education systems to provide lifelong learning in Central Asian countries. In this context, the Community Learning Centres can ensure access to learning and education for different groups of population regardless of age, bring learning “closer to home”, contribute to economic development by encouraging local entrepreneurship, increase the effectiveness of the existing funding, and stimulate the development of non-formal education, learning and culture. Another important function of the centres is their capability to mainstream 21st century skills, by teaching education for sustainable development, global citizenship education, education with information and communication technologies, and technical and vocational education. This approach would strengthen the connection of local population to national and regional labour market, as well as pass national heritage experience from older to younger generation. To conclude the Forum and support future activities for the revival of Community Learning Centres in Central Asia, the participants adopted a Call for Action. 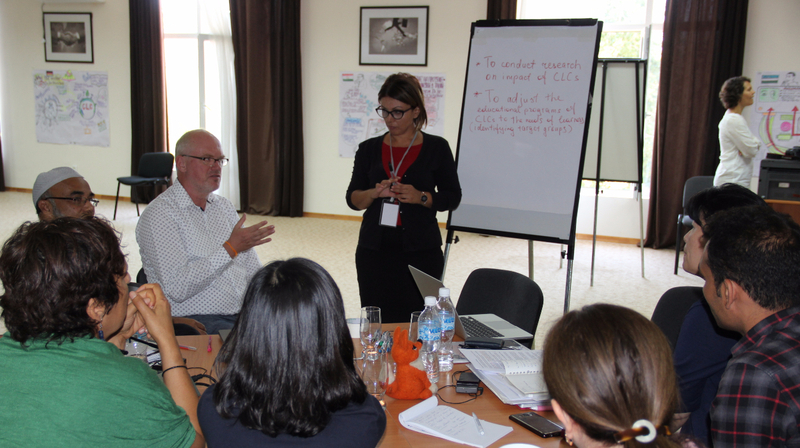 This document suggested actions to guide policy-makers and other partners on strengthening the centres and implementing lifelong learning and non-formal education strategies in the Central Asian sub-region.